I have competed up to Advanced, and have produced my team of horses through BE's grades over several seasons. My career highlights so far include winning the Novice Owner Rider Championships, qualifying for the Festival of Eventing at Gatcombe and being long listed for the British Rural Riders Team. Michael is the yard vet for Kate Lukas Eventing. Michael is somehow always cheerful and is one of the few people we know who seems to work longer hours than us! Although he does a great job and is great to have around we are grateful that we do not see him very often! Gavin has developed a unique approach to the treatment of the equine athlete known as Equine Postural Training which optimises the bio-mechanical function of the musculo-skeletal system. 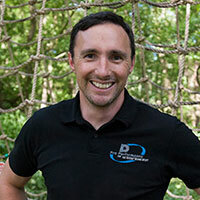 Gavin has lectured and published extensively and is a senior lecturer at the European School of Osteopathy. 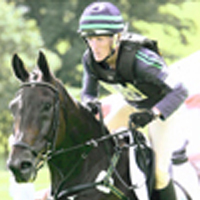 Surrey based Daniel Hewer Dip WCF ATF has been yard farrier for Kate Lukas Eventing since 2008. With over ten years experience of both traditional and modern farrier techniques Dan brings a vast wealth of knowledge to the yard and undertakes all types of shoeing and trimming, including remedial work. 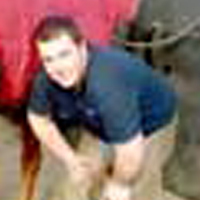 Dan regularly competes in shoeing competitions and became an approved training farrier in 2008. I have been working with Kate with a programme of exercises specifically designed around the demands of her sport. Part of this is preparing for events focusing on balance and core strength to help with fall prevention as well as addressing muscle imbalances using target resistance work, stretching and mobilisation. We also cover nutrition and hydration on eventing days as well as it's importance in recovery in between competitions. To continue developing and maintaining my team of horses I hopes to build a team of owners and sponsors who share my passion for Three Day Eventing. Owners and sponsors are an essential component of any event riders team, particularly those who aspire to reach the very top – which I certainly do. Melissa is second rider to Kate and joined the team in January 2014 after previously working for the ambulance service. 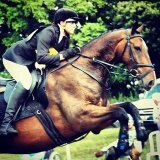 Melissa has been competing BE since the age of 18, where she ran her first horse Mr. Finn at BE100 level. Melissa is aiming to work her way up the BE ranks now she is riding full time and hopes to produce her own horse to run up the levels (with the help and support of Kate Tarrant! :P). 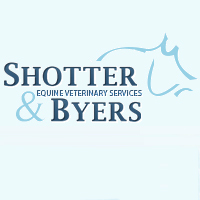 Steph recently left the city behind to further her passion and work with horses. Having spent her junior years show jumping, she moved on to county level showing, placing in the top 10 at both H.O.Y.S and the R.I.H.S with her Working Hunter Pony. A regular on the hunting field and now moving into the eventing scene with her young horse; Steph's broad background sets her in good stead for her role as head girl. 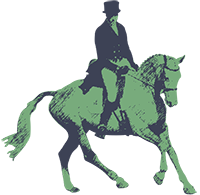 Andrew competes regularly at all the major UK shows including Premier Leagues, Young Horse Championships, Hickstead, National Championships and Horse of the Year Show. He also competes at the UK's International CDI's as well as across Europe. 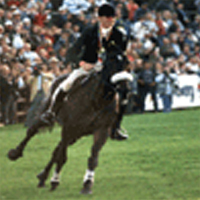 Andrew is also well-known as dressage trainer to some of the equestrian world's leading riders. 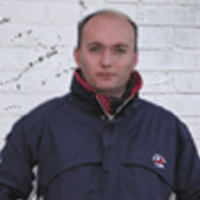 He is a UKCC Level 3 Coach and a qualified Young Horse judge. Designed by Yes We Do Websites.